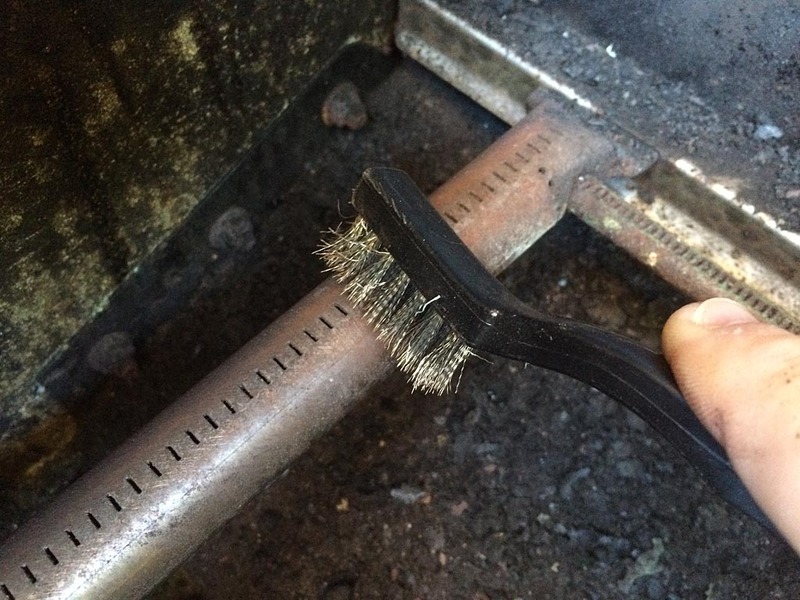 Use a grill brush to remove loose, flaky carbon build-up inside the lid and to clean the cooking grates. Use a putty knife to remove debris from the Flavorizer bars. Use a wire brush to clean the burner ports. Brush across the burner tubes, not down the length of the tubes. 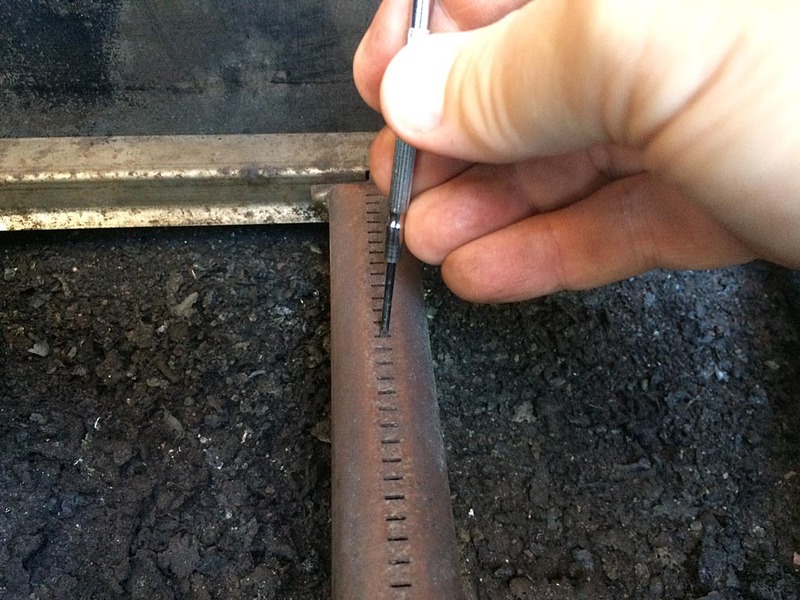 Use a putty knife to scrape debris inside the firebox down into the drip pan/catch tray. Clean the catch tray and replace the foil drip pan. Visually inspect the condition of the gas hose and check connections for leaks with a soapy solution.